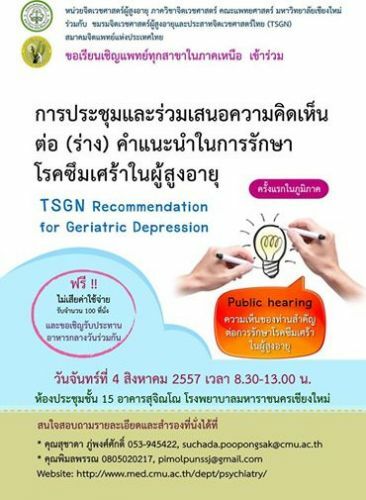 Dr. Wongpakaran arranged the Public hearing on TSGN Treatment recommendaton for geriatric depression on 4 Aug 2014. The draft of this recommendation/guideline has been developed since 2013. 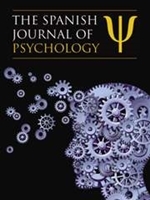 It was first introduced in Nov 2013 at the annual meeting of the royal college of psychiatrists of Thailand. Venue: Meeting room 1, 15th Floor, Sujinno Bldg. This meeting was arranged for the first time for physicians outside BKK, and in northern region of Thailand. The next meetings will be held in Surat Thani and Khon Kaen in Sep and Oct 2014, respectively.